Today, we delve deep into the topic of bad eating habits and how to let them go in order to succeed in the weight loss and maintenance goals you have set for yourself. Bad habits are very hard to break, especially if you love them! 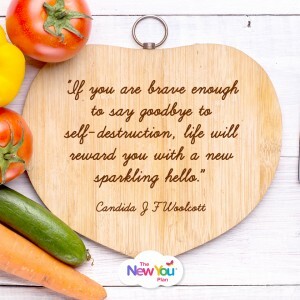 If you are brave enough to say goodbye to self-sabotage and break the bad eating habits, life will reward you with a new sparkling hello! There are many bad eating habits and that is why we have got to where we are today, trying to lose weight and then maintain what we have lost. But are those bad habits broken or are they still lurking in the background? Perhaps if we recognise some of the most common bad habits, we will then be able to work on letting them go forever. Mindless eating is top of the list to try and understand and fix. Studies have shown that the larger the plate or bowl you eat from, the more you unknowingly consume. The solution is easy and something we should all practice; eat from a smaller plate, or even a side plate. Take your time and enjoy your food. Some customers find that eating from a portion plate when they first start maintaining is really helpful, which serves as a trusty guide as to how much should be on your plate. Emotional eating is something every single one of us, I am sure, has been guilty of doing at some point or another. When many people face emotional obstacle, they turn to food for instant gratification to help with the situation, but it does not actually help! You know this deep down. Or, will you allow the the cycle of self-sabotage to begin? Unless you recognise that if you stay in control of your eating habits and diet, you are more likely to have the strength to overcome the emotions you are facing. Eating foods that are bad for us are not a coping mechanism or even a solution. 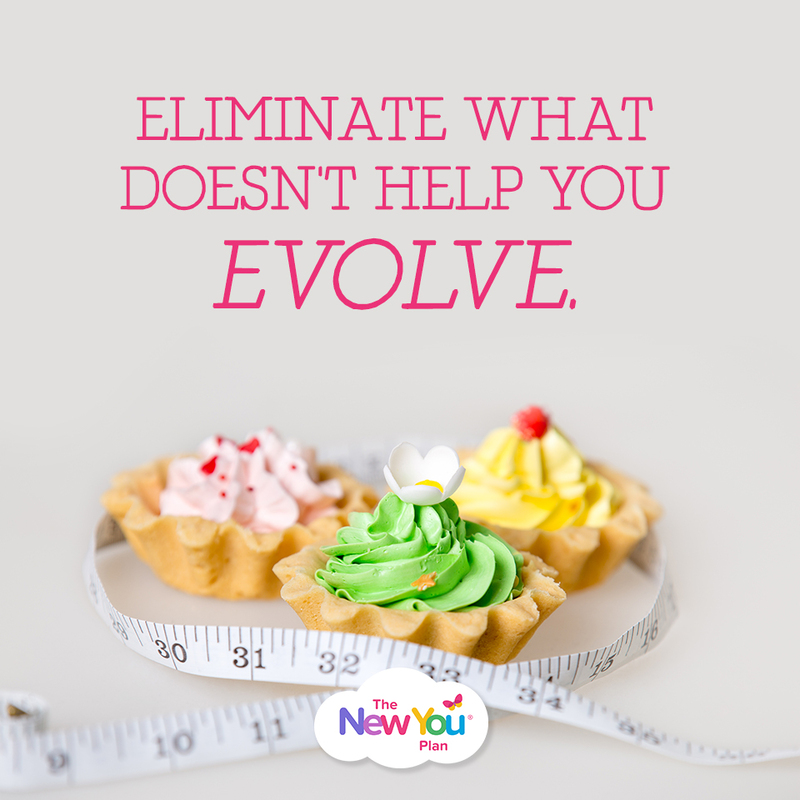 Divert your mind from food, take a walk or do something positive to overcome the feeling of needing to eat something that is bad for you. Emotional eating does not just belong to sadness or stress – it can also be encountered when feeling exceedingly happy. So be mindful and step away from the fridge! It’s really not worth it! When it comes to eating junk food, for some this can be a really hard habit to break. It’s quick and easy but a temporary fix for your hunger and lust for comfort food. There is little or no point in banning yourself from fast food as you will only crave it more. Try and identify what you really want and indulge only very occasionally as a treat. Just remember that junk food is packed full of high sugars and carbohydrates, which can be as addictive as cocaine! Eating too quickly is a common habit. You are rushing out the door, late for the school run or late for work. No time to stop, you grab whatever and wolf it down. Your stomach does not know it’s full up until around fifteen to twenty minutes after you have started eating. If you gulp down your meal in 10 minutes or less, you could end up eating a lot more than you actually need. Make time to eat, slow down your eating, put your knife and fork down between mouthfuls and drink water as this will help make you feel fuller. It’s not just will-power that is required to conquer these bad habits; stop and think: “Do I really need this?” and the answer should be “No”, I don’t need it. Once in a while a treat is definitely allowed but if you make it daily or as a reward, the results will inevitably mean weight gain. 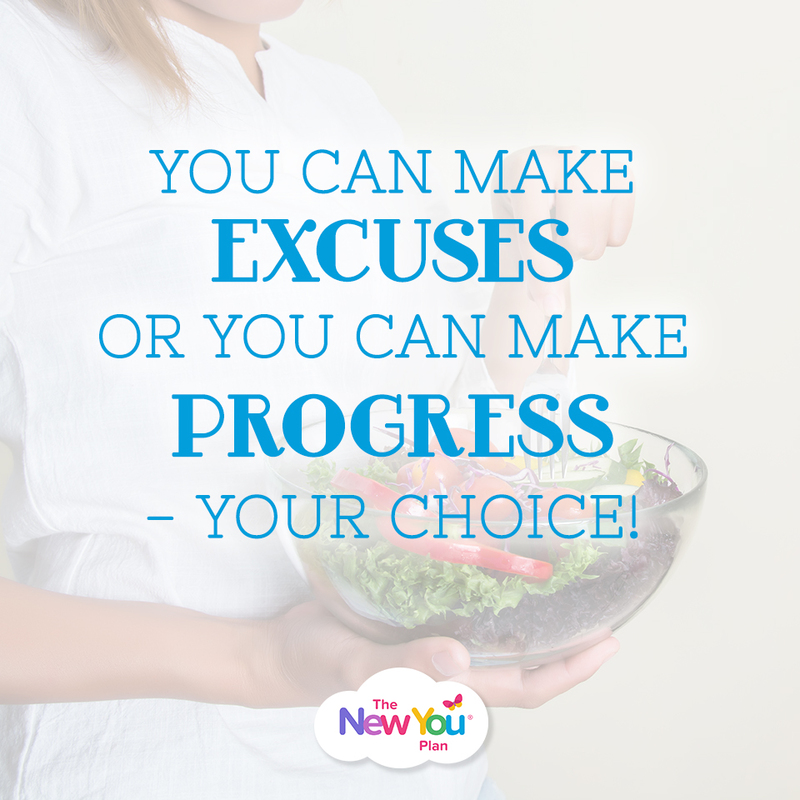 You can make excuses to not break these habits or you can make progress, the choice is yours.